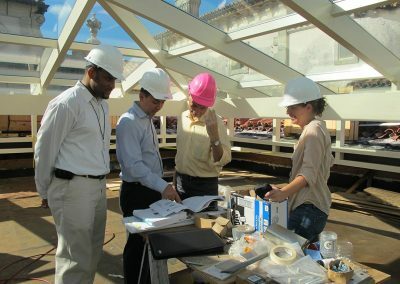 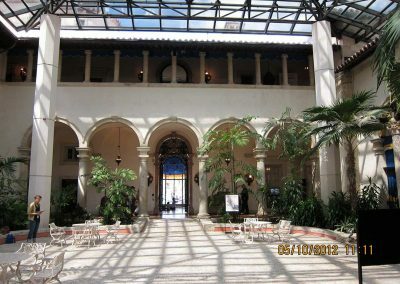 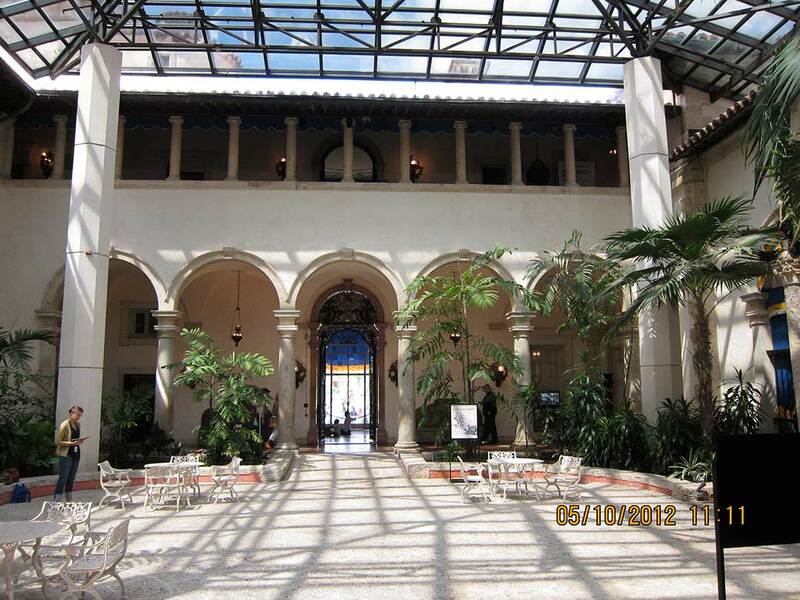 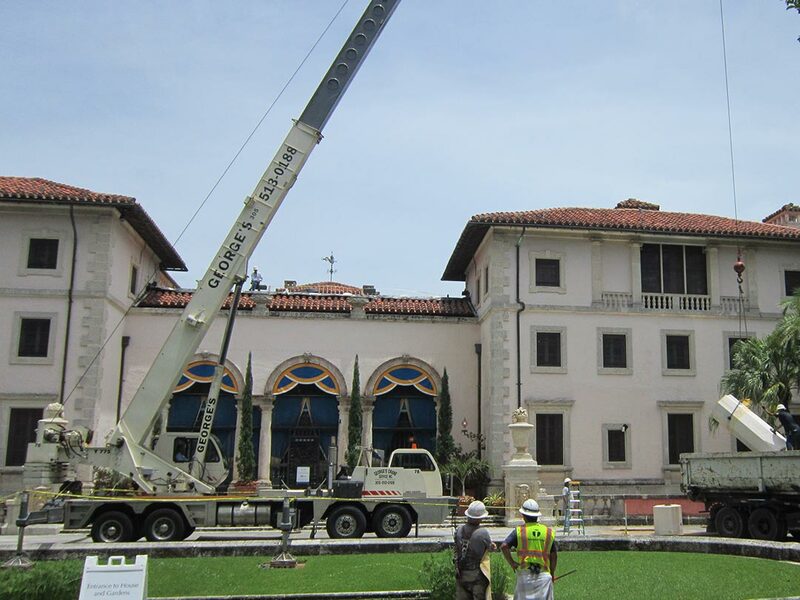 RLA was retained by Thornton Construction Company, Inc. to serve as the Qualified Conservation Firm, required by the contract, to the replace the glass and steel skylight that covers the courtyard of Vizcaya’s main house. 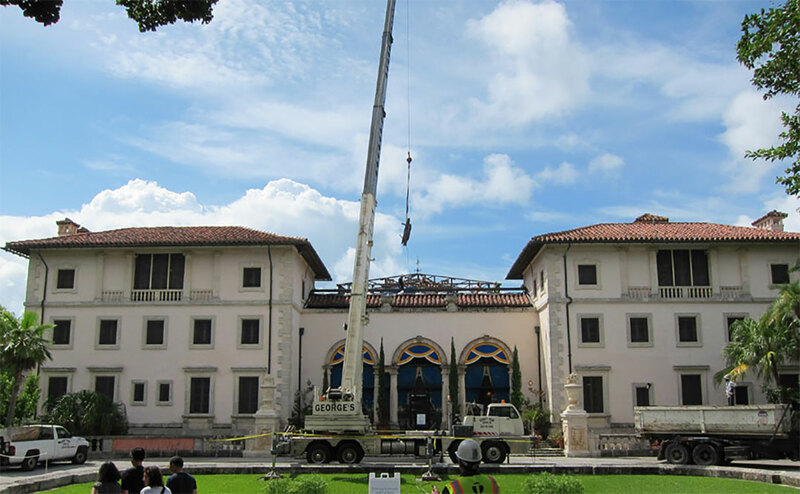 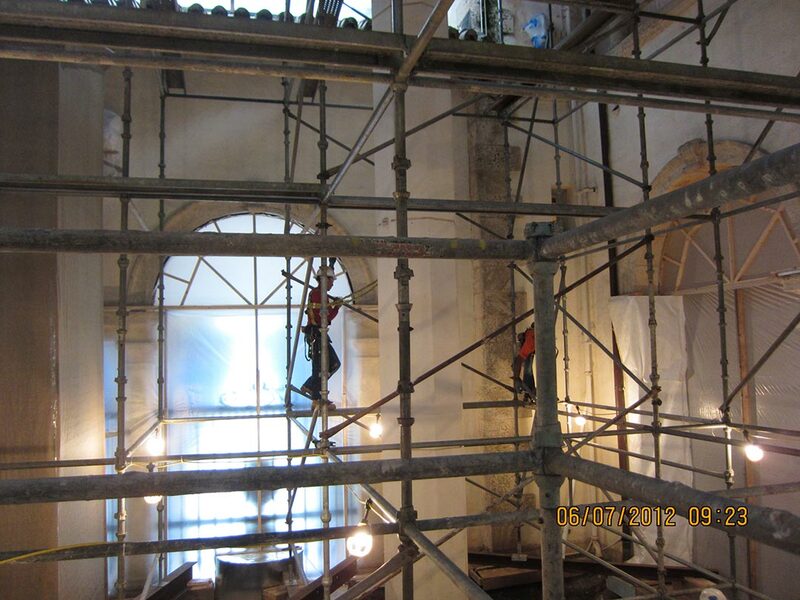 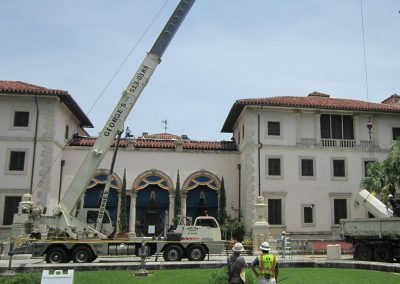 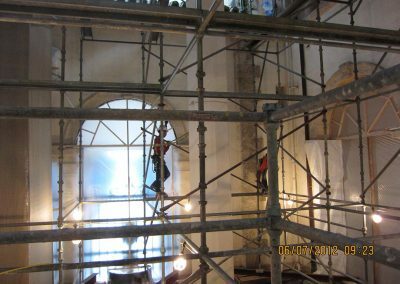 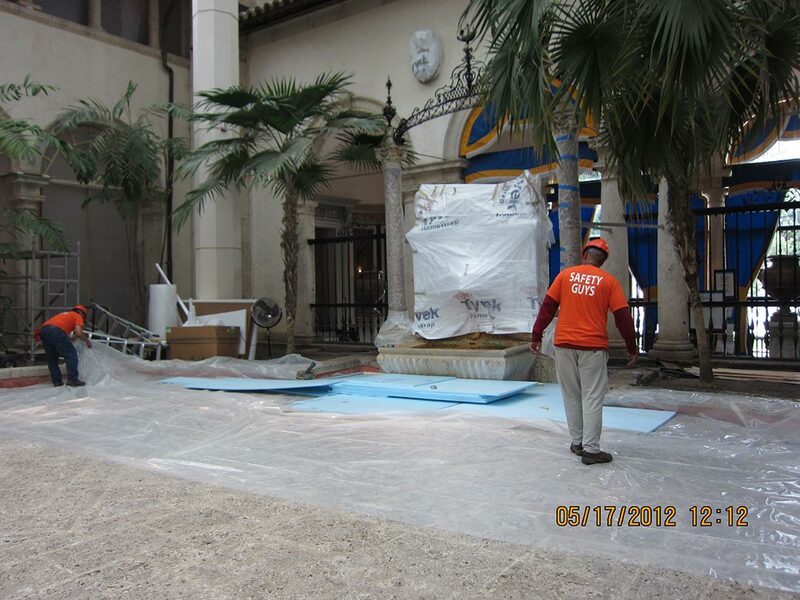 RLA provided condition reports, safe removal of historic objects, and consulting services to the GC replacing the canopy with the aim of protecting historic architectural features and collection objects in Miami’s most prominent historic property. 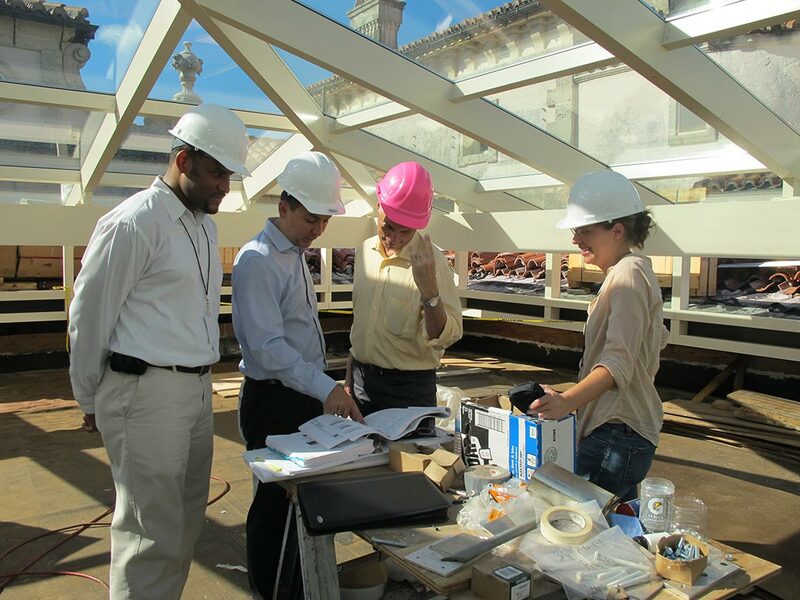 Duties included providing baseline documentation, close monitoring of demolition work, extensive review of all scopes that either impacted or had the potential to impact historic fabric and collection objects, and the preparation of activity hazard analyses in order to anticipate vulnerabilities and risks. 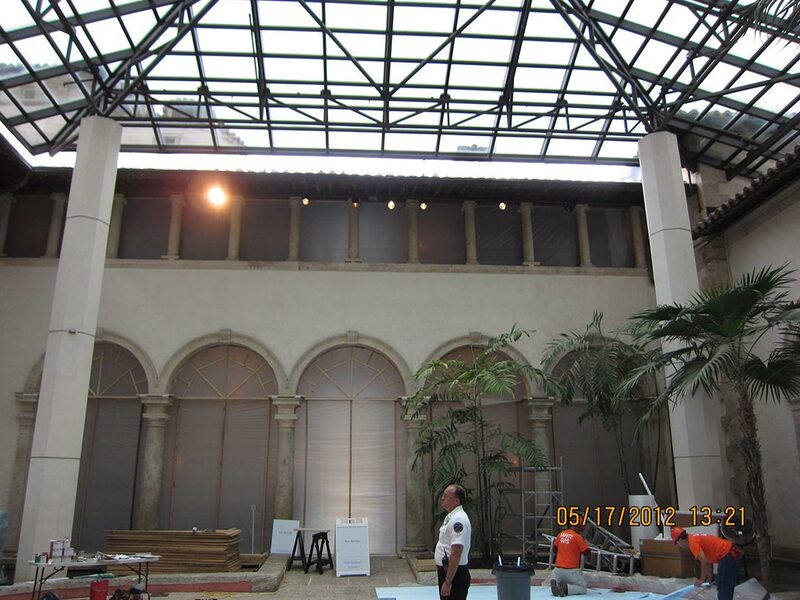 RLA also provided hands-on treatment services to clean the coral stone interior courtyard, paint stucco with lime paints, conserve the copper pipes and leaders and conserve the historic wooden ceiling over the courtyard’s second floor landing. 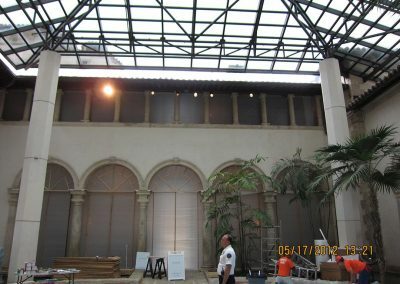 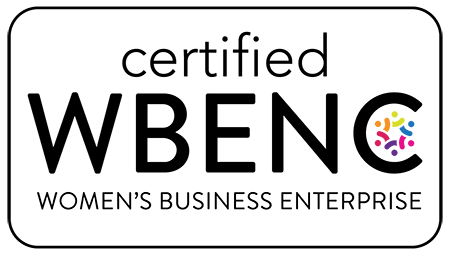 Client: Thornton Construction Company, Inc.